Brazil To Get 3D TV, Plays On TV That Requires No Special Glasses | OhGizmo! Telefónica will begin testing 3D IPTV service in São Paulo, Brazil, later this year. 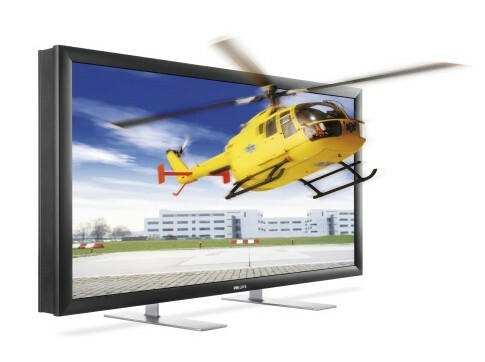 The TV that will be used to view the 3D programming is a 1080p 52-inch Philips 3D HDTV. The TV is auto-stereoscopic which means that watching a show in 3D doesn’t require any 3D glasses. The major snag in this type of broadcasting is that the Philips TV is the only one that can currently display the 3D shows, and it costs the price of a new car. The current price is 18,000 Euros, roughly $26,000 US. Philips expects the TV to be used in corporate settings for now and that it will be 3-4 years before the price drops and the TV will be commercially viable for the average consumer.